James Whelan Butchers: Butter Live with Ella McSweeney! To celebrate GIY week, RTE presenter and broadcaster Ella McSweeney will be making butter live from St. Ailbe’s School Tipperary on March 16th at 7pm. Joining Ella is farmer and butter enthusiast Alan Kingston from the award-winning Glenilen Farm, Cork and American-born food blogger/columnist for Irish Country Living Imen McDonnell. Ella will be using raw milk cream from Brochan Cocoman’s award-winning Kildare herd to make the butter. 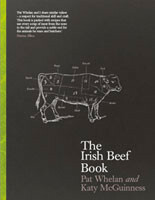 This event will be streamed live online on www.giyireland.com, March 16th at 7pm and we encourage people to log on to see how simple it is to make butter in your very own kitchen. Ella is a GIY patron/supporter who was genuinely surprised the first time she churned her own butter. “When I first turned fresh, white cream into a block of gorgeous yellow butter, I was just amazed at how easy the whole process was – here was I eating butter all my life and I hadn’t even made it from scratch. It was hugely satisfying, and pretty gorgeous too! As a patron of GIY Ireland, I’m asking everyone out there to log on from your kitchen on Wednesday 16th March at 7pm with cream, a whisk a bowl and a spatula on hand and together we will whisk up a storm”. This event is completely free to watch from the GIY Ireland website and will teach you the time old skill of butter making. All you need is the following:- 2 pints of fresh cream, a whisk, a bowl with iced water, a spatula and a computer hooked up to www.giyireland.com. Hope that you can log on to share in the experience and make this a GIY Week to remember. GIY Week 2011 takes place between the 12th-19th of March and is GIY’s first major outreach of the year. The event is timed to coincide with the start of the 2011 growing season and aims to encourage people who have never grown anything at all to pledge to stick a seed in the ground. GIY groups around Ireland will be hosting events to provide would-be GIYers with the skills that they need to grow their own successfully. On Facebook, GIY plans to get over 100,000 people to take a pledge to grow something they can eat. As a director of GIY Ireland I’m a huge advocate of this charity. You might ask, what is GIY? GIY is a not-for-profit charity that aims to make growing your own food the norm. We aim to inspire people to grow their own food and give them the practical skills they need to grow successfully. We do this by bringing people together online and in community groups so that they can learn from each other and share skills, expertise and knowledge. GIY’s three priorities are awareness, support and education. There are nearly 100 GIY groups around Ireland and approximately 7,000 people involved between our community groups and our website. At a local level, GIY group activities include monthly meetings, talks and demos; garden visits, seed and seedling swaps; produce bartering, mentor panels and grower’s meitheals (‘working gangs’). 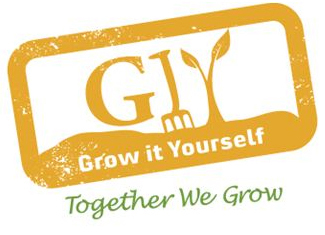 GIY membership and meetings are free and open to people interested in food growing at all levels, i.e. from growing a few herbs on the balcony to complete self-sufficiency, from beginners to old hands.